We've been working behind the scenes on something new & exciting - professional longarm quilting services for our favorite Canoe Ridge Creations customers. This long time dream of mine is finally coming true and I couldn't be more excited - and now I get to work side-by-side with my best friend! 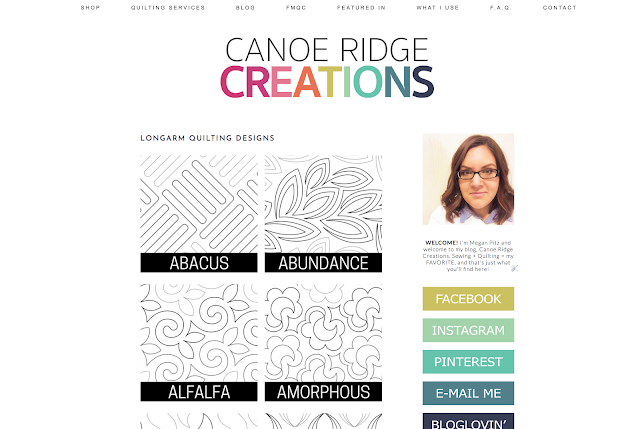 My husband, Brandon, and I are working together to bring you superb longarm quilting from our home studio in Iowa. Over the past year we've been working hard learning the in's and out's of our BERNINA Q24 Longarm so that we can offer you only the best in computerized quilting and we are officially open for business. Take a look at our QUILTING SERVICES page for all the important details. While you are there you'll be able to choose from 70+ Edge-to-Edge designs to find the perfect quilting design for your project. Each month we'll also feature a Design of the Month at 20% OFF - this month it's MOD DOTZ (one of my favorites!). Let's finish those quilt projects together! Are you ready? 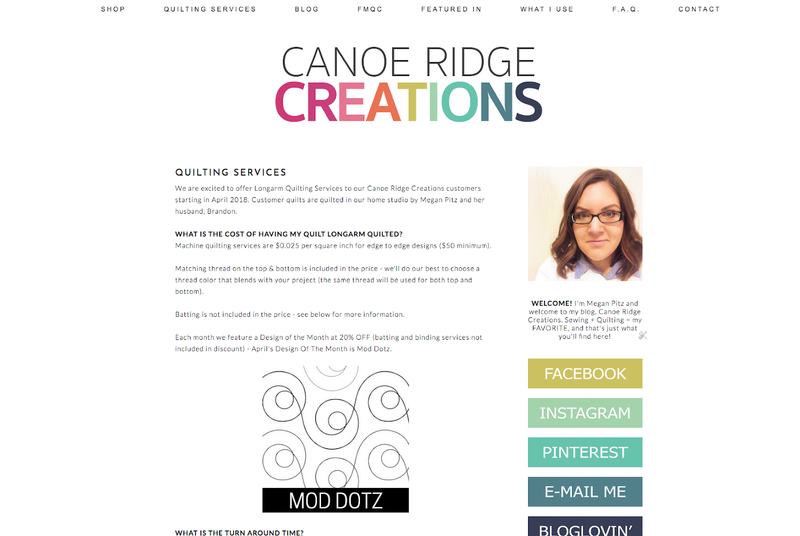 E-mail us at megan@canoeridgecreations.com and let's get started.